A Case Western Reserve University School of Medicine researcher has compiled evidence from more than 100 publications to show how obesity increases risk of 13 different cancers in young adults. The meta-analysis describes how obesity has shifted certain cancers to younger age groups, and intensified cellular mechanisms promoting the diseases. Cancer typically associated with older adults over 50 are now reported with increasing frequency in young adults. Of the 20 most common cancers in the United States, nine are now reported in young adults. In 2016, nearly 1 in 10 new breast cancer cases, and 1 in 4 new thyroid cancer cases were in young people aged 20-44, according to the review published in Obesity. The data show that with obesity rising among younger demographics, so are cancer rates. The new review integrates animal studies, clinical trials, and public health data to help explain rising cancer rates among young adults. It describes how the childhood obesity "pandemic" promotes cancer. It also offers approaches to better track—and hopefully avert—this public health crisis. Young people with body mass indexes (BMIs) over 30 are more likely to experience aggressive malignancies, says author Nathan A. Berger, MD, Hanna-Payne Professor of Experimental Medicine; director of the Center for Science, Health and Society; member of the Case Comprehensive Cancer Center; and professor of medicine, biochemistry, oncology and genetics at Case Western Reserve University School of Medicine. According to his review, childhood obesity may have lasting effects that could lead to cancer early and late in life. Obesity can permanently alter a young person's likelihood of developing cancer. Even after losing weight, cancer risk remains. Says Berger, "If you are obese, you are at a higher risk of cancer. If you lose weight, it improves the prognosis and may lower your risk, but it never goes away completely." Obesity causes changes to a person's DNA that can add up over time. These changes include genetic flags and markers—epigenetic modifications—that increase cancer risk and may remain long after weight loss. Data from clinical trials and animal obesity studies further link excess weight to cancer. Berger's review shows obesity accelerates cancer progression in several ways. It overactivates the immune system to produce harmful byproducts like peroxide and oxygen radicals that mutate DNA. Obesity also alters a person's metabolism, causing growth factor and hormone imbalances that help cancer cells thrive. In the gut, obesity changes intestine microbiota such that tumor-promoting species dominate. Acid reflux in obese individuals damages their swallowing tubes and heightens risk of esophageal cancer. 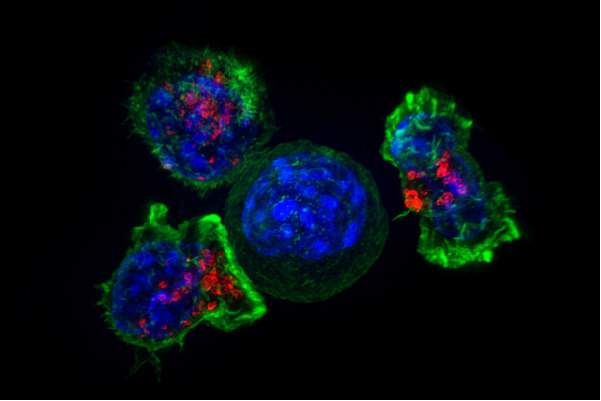 Berger's research confirms obesity promotes cancer by multiple simultaneous pathways. "Even if one pathway is successfully blocked, obesity-induced cancer takes another path," he says. Another study, says Berger, asked adults to draw their adolescent body shapes. "Patients who drew a round body shape had a higher incidence of multiple myeloma." Such anecdotal evidence hints at long-term effects of childhood obesity, which Berger supports with other analyses. Adults with a history of obesity are twice as likely to develop multiple myeloma. Berger says obesity can also shorten cancer timelines, in part by shrinking the period between benign and malignant cancer progression. This is likely another reason aggressive cancer rates are rising among young adults. Multiple myeloma is now reported in young adults under 45, while historically the peak incidence age held steady at 69 for decades. The review is a deep dive into 13 cancers previously identified by the International Agency for Research on Cancer as linked to excess body fat. But it is one of the first to specifically address how obesity promotes progression of these cancers in young adults. It includes Berger's recommendations to disrupt the link between obesity and young adult cancers. Berger suggests documenting health data, including BMI, throughout a patient's life is critical. Many cancer patients present after significant weight loss, which could cause doctors to overlook obesity-related factors. Berger hopes that increased use of electronic medical records will help build databases that can detect weight loss patterns—even if they occurred decades prior or are confounded by other health issues. Says Berger, "By documenting characteristics like diet and environment of an obese person, we might be able to get an indication of a possible prognosis." Detailed information about a person's weight history could help, as could early cancer screening techniques tailored to young people. But, says Berger, "the most effective way to curtail development of this problem is to prevent the expansion of the obesity pandemic in both children and adults." Without this step, 110 million children and adolescents with obesity worldwide remain at risk of developing obesity-associated cancers.